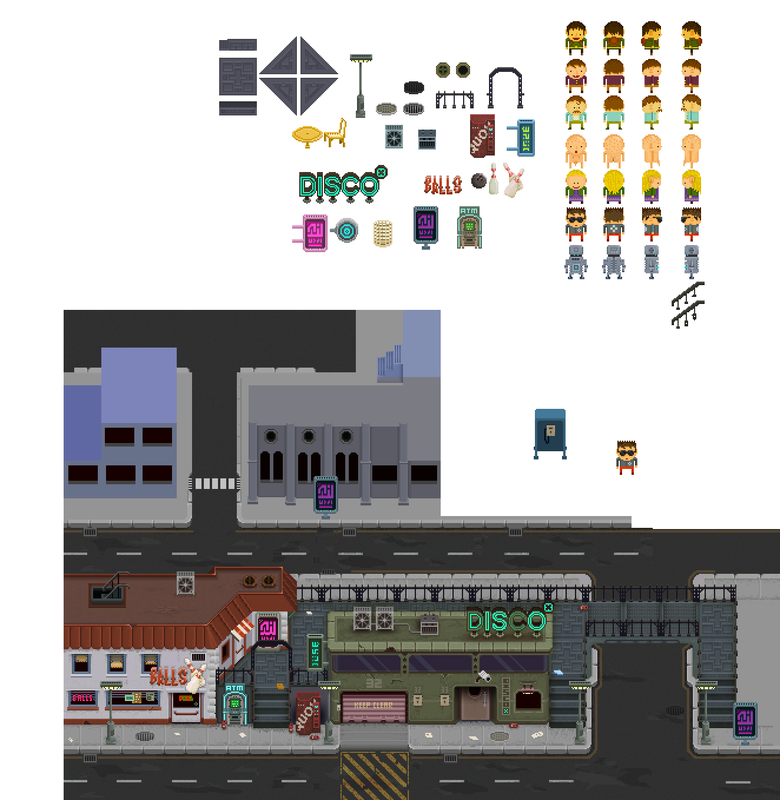 The idea I have "now" , is sort of similar to the idea I had with We Are the Robots, but some differences are this game will have a top-down, slightly angled perspective, much like Retro City Rampage ( http://www.retrocityrampage.com/map/city.pngv ) .. however unlike Retro City 8bit look, my idea will strive to simulate an 16bit look, and be slightly more detailed with regard resolution. 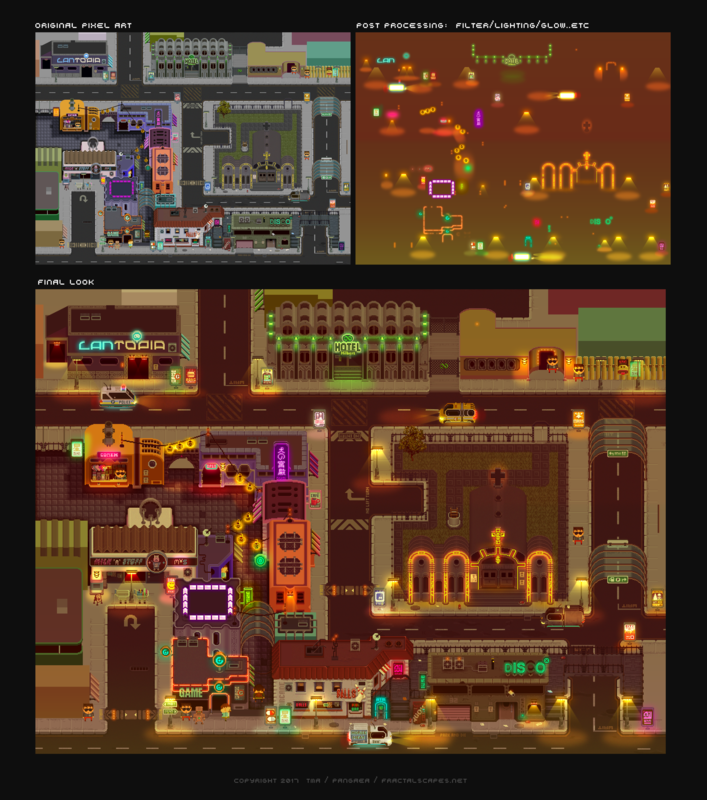 Many if not all buildings the player will be able to enter, so all in all certainly art work wise its an ambitious project, if you consider the scale of something like Retro City Rampage.... it's likely to be smaller then that tho. So, what am I looking for here?... well as I mentioned in my opening I could do with someone to help with the scripting end of things, and also, although I have created some concept npc/characters (top left corner of Concept Sheet image), I really don't think they fit so well to the style I am establishing with the buildings/city itself, so perhaps someone who is good and character design and animation would be also fantastic. Anyhoo if anyone sounds in anyway interested in this I would be over joyed to here what you think and over the moon if you could get involved in someway. Naturally I am aiming to have this game as a product so equal shares in whatever is made, if anything, would be agreed upon. although my heart is with AGS.. I am concerned a number of visual features that ideally I think would help this game shine ags would struggle to do (in particular certain lighting effects) , in that case I am very open to any other engine, anything to make the game look its best and attract more people is a good thing. Fantastic pixel art, sir! Having recently completed a cyberpunk-ish, adult-oriented game, I am looking to future projects, and this might be up my alley. Having done all the work on Neofeud aside from some of the voice acting, I'd love to be able to work with an artist and just focus mostly on the scripting, storytelling side of things. Neofeud has shipped, is selling reasonably well, and so far people don't seem to have any problems with it, so I'm assuming my coding abilities are at least acceptable. Either way, good luck with your project! It looks great so far! hi there SilverSpook and brewton, thanks for your interest/responses. To be honest going on the many 0 replies on this thread I figured it was not very often viewed so I would not get a reply any time soon if at all, so I kept the post short. brewton i have already met from irc and we had a brief chat , and SilverSpook it is really awesome you sound interested and also have a passion for theme idea and by looking at your own work I see you have a good grasp of the sort of thing I am looking for with regard tone/atmosphere. Would it be ok to private message you? or, perhaps you knock about irc? Tycho- I'm not on IRC though you can feel free to message me. This looks cool, can you already walk around that city? Ahoy there selmiak.. heh nope,, its extremely early days for this "potential" project, I am still working on concept stuff, though its much slower then I thought,, The more I make the more elements for me there will be to copy/variate so eventually I will be able to cover far more work in a week, perhaps even get a whole block a week done, rather then a building every day or two. Here is a bit`o`progress anyhoo... still need to work a bit on the roof of the "Balls" building, and am just starting on the building toward the top of the test scene. Give me a week or so to complete this little test scene and I will get back to you guys, in the meantime if you have any ideas or questions, knock yourselves bandy! The more I make the more elements for me there will be to copy/variate so eventually I will be able to cover far more work in a week, perhaps even get a whole block a week done, rather then a building every day or two. I always get bored of a project before reaching that stage. But I've always wondered, does that stage actually exist? It always seemed like it should, but then again I've never reached it. By the way, your art is simply amazing. Keep updating us on this. And as soon as you get some gameplay put in, show us some gif screenies. Hi folks, my apologies for not responding until now... I did get some time to get a tiny bit more done, including figuring out what internal rooms/areas might be like. Anyway I was not sure since this is not technically an official project yet whether or not I should be updating this "recruitment" page, However rather then start a project post I will continue to update this page with some updates or to answer any questions or whatever., Mods you can delete/move the posts if its no longer appropriate for this area of the forum. Hi there Danvzare, ... well I guess that would depend on the project but in my case , and to give an example, right now I only have one type of air condition unit, one type of street bill board, ..etc In time I will create more "variations" of objects such as these and I guess when I have enough its just a matter of copy pasting stuff around.. However I will strive to have most if not all buildings and structures totally unique no matter where you are in the city, that goes too for their internals. Underneath that you can see my first experiment/try of doing an internal area to a building, this is the inside of the "Balls" building on the ground floor. 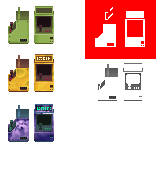 It is far from complete yet, a lot of shading, detailing such as a few arcade machines, another type of vending machine, populate the bar with drinks, and so on ..etc to do. 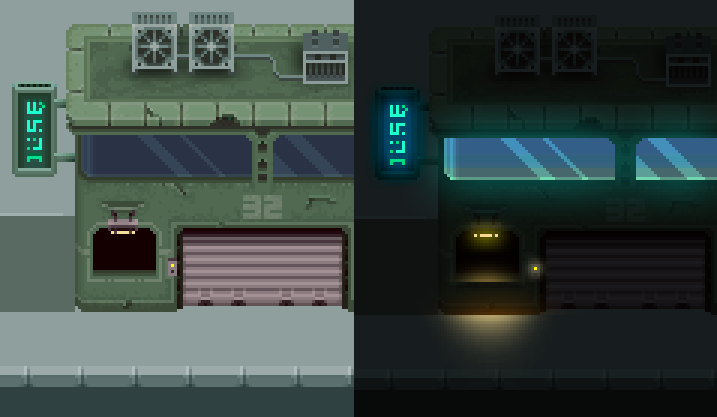 Up-scaled x2 Internal showing the raw pixel art and something that might be more closer to the in game mood/atmosphere. hi there.. I am still working away on the small test section of the city, though here are a few other random bits, the city will feature many types of vehicle from cars, vans, trucks, to bikes and other things.... Most of them will be hover vehicles due to the theme of the game, but because the city will still have left over buildings/tech/objects from older generations, there will also be some classic wheeled cars... Here is an example of one type of make of car, then 4 variations on that one make of car. Then some other bits and pieces under that. I may focus some attention on making some of the cities stuff open for customization for the community, this might come into play if the project goes into some sort of crowd funding process, then for example we can offer backers their own custom arcade cabinet, or their own custom car,, custom beer/wine bottles..etc with amusing descriptions. Cabinet Template .. just drop anything under the red, or draw your own design... colorize/tint the bits (grey bits under) to match your design, then post with the game details too. Still working away on things, Working on 3 other buildings, 2 internals, a bunch of other minor things too. I wont show everything as I will keep it till I am done with the small test section of the city. The work is however going a tad slower that I first expected, so sorry for the slow updates too. Here are a few things anyway.. Here is an example of a game store, note: its still incomplete here, I am also working on its internal. Here are some more modifications of the little hover car thingy, but this will be just one type of make of car, I have started on 2 other types of make of car too. Anyway I thought it would be cute on some of them to see the drivers so I made a convertible version, and open/windowed versions, also a limbo, and 3 poses for drivers. Here are a bunch of adverts that will feature throughout the city, there will be A LOT more then these but these I think are enough for the small test section of the city I am working on. These particular adverts are designed to fit into standard street side / wall frames, but there will be adverts of various sizes and shapes. I am offering folks on AGS forums the opportunity to create their own adverts for these size frames, the size must be 17x25 with 1 pix off each corner, if you are making a advert/poster also try to think of a description for it, something amusing ideally. anyway. Still lots of work to do, I said last time it would be a week or so, well I might give myself a little breathing space on that and say about 2 weeks and it will be ready for scrutiny for potential team members on the project. Well i would really love to post it somewhere better, but I might run the risk of upsetting folks if I go with another engine, the engine question is still very much open right now, but I thought to see if there was at least "some" initial interest in the general idea. I will be quite with the updates on this project for couple of week until I have fully completed the concept work anyway, so I may very well just post right into the active projects thread then. I don't see how that would be a problem nor why AGS "team" and us AGSers wouldn't want AGS to be mentioned in games even if not made in AGS . Loving the art etc btw! Hope you find the team you are looking for! Work as been a great deal slower then I first thought when I set out with this idea due to a number of reasons some of which not related to the development itself. However I have made significant progress in some areas and have generally formed stronger ideas and concepts. I was clearly told by someone that I should not post in to the active projects thread because I have not enough things to show so I guess the next best place is to just update this thread in the recruitment section, though I do realize this is perhaps beyond a "recruitment post" phase in terms of work done. I did not want to post in the critics sections as I was not sure if it was appropriate there either,, well I do apologize if I am posting stuff that I should not be posting in wrong sections. Anyway I might like to treat this post/update as a final project proposal in relation to doing this in AGS. Although I have suggested some mechanics and other aspects to this game idea that AGS might not be capable of doing I am still willing to go AGS if AGS folks can see this could be possible, even with compromises. In theory this game could be a point and click adventure, however ideally "some" other mechanics could be implemented to make this experience for players much more richer. 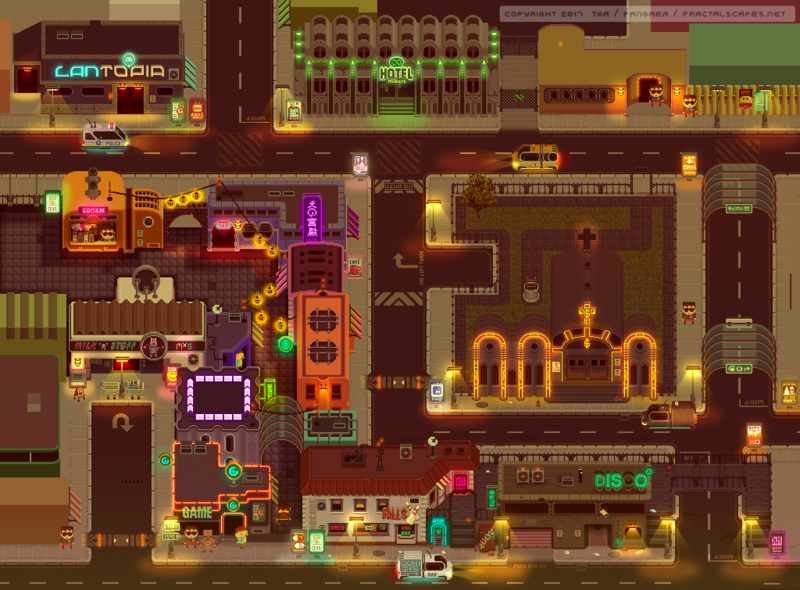 The game will be set in an alternate reality, a typical metropolis with a slight cyberpunk feel. Mixing influences and reference from old, modern and futuristic. Although the game appears at first sight to be cute and childish, the underlying tone of the game will have an adult theme, perhaps a mix of Futurama and Family guy + others types of humor. Certain aspects to this alternate reality I would like to keep a secret until release, however although I have not formed any specific story lines, I have formed a strong scenario in which creating stories and quests should be easy. In effect I am creating a world, a city for stories to be overlaid on top of rather then creating a story then creating a world to go with it. Of course I do have many ideas for stories and quests, but the point is that anyone coming on board this project has a lot of freedom in working with me to produce good stories. I will strive to make the world as rich and varied as possible so creating stories to take place in it with its characters (or new story specific characters or locations) will be really fun. The game will feature a JRPG style perspective, looking top down and slightly to the front with flat perspective (orthogonal). I am still learning how to work in this very tricky style so I will improve my scale/depth consistency over time. Even still because of this very specific perspective many "compromises" in depth, scale consistency .. etc are representative in style to how they would be in any realistic style, which is quite common in JRPG style games and other genres. The game as mentioned in previous posts should be an open city environment / free roam and I will strive to make sure that most (if not all) buildings will be enter-able which is a big component to open world games that really frustrates me. Seeing interesting shops/buildings.. etc that are just teasing you until you realize its just decoration/filler. 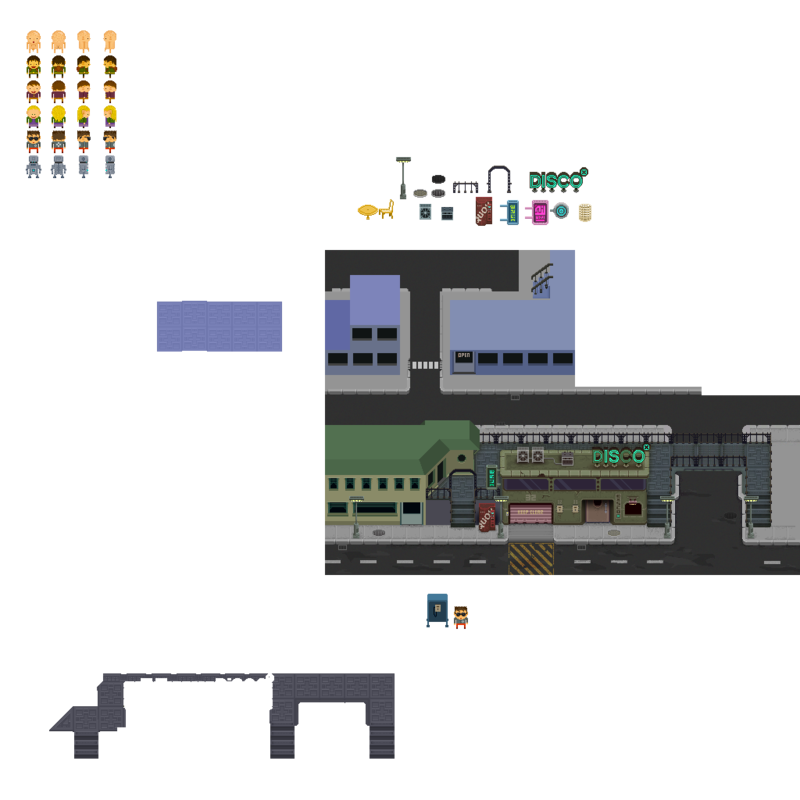 The game will have two main types of areas of gameplay, that is the external (the city outside) and internal areas (inside buildings)... From a scale point of view the external city is a sort of map like representation of the game world, while the internal are in most cases more then double the size of what the buildings appear to be on the outside. Player can store certain items that they can pick up in their inventory. Player can only hold certain amount of items (or by weight) at any given time. Players inventory may be up-gradable to carry more. 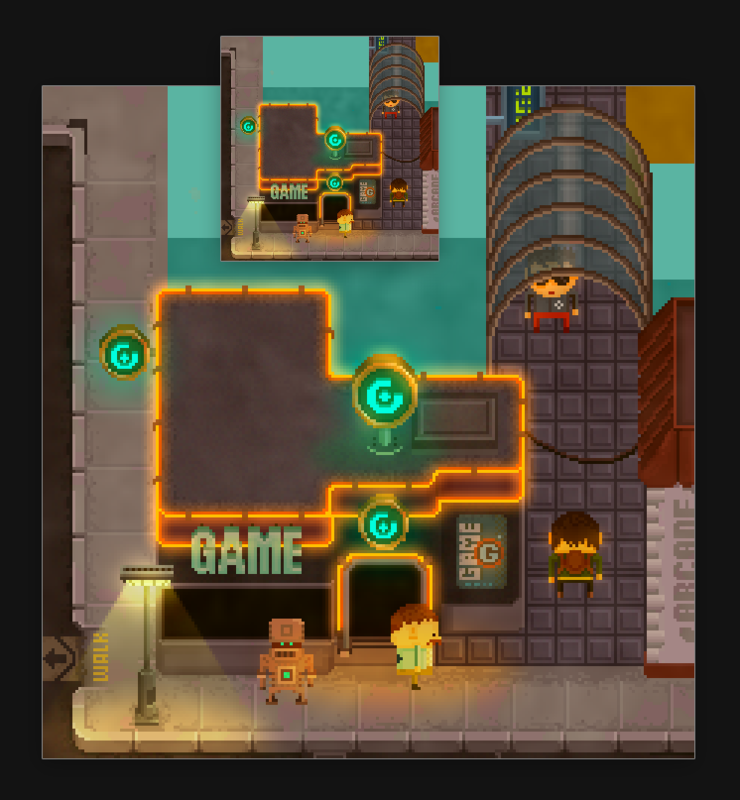 Player will often find locked doors, containers,..etc and in some cases they will be able to play a hacking puzzle mini game in order to access the locked item. Although the emphasis of this game is not on fighting, there will be occasional instances of a fight being triggered between the player and one or more NPC's. This fighting mechanic has to be simple. A light survival mechanic such as the three standard ones, hunger, thirst and exhaustion could be implemented to take advantage of the richness of the variety of items i envisage. Other additional survival mechanics such as levels of toxicity in the body (from drugs, stale food.. etc), Sexual desire, (a requirement to visit brothels (make or female/or bot depending on player character choice ), Money Management (the requirement to not run out of money)... and other possible additional survival mechanics. 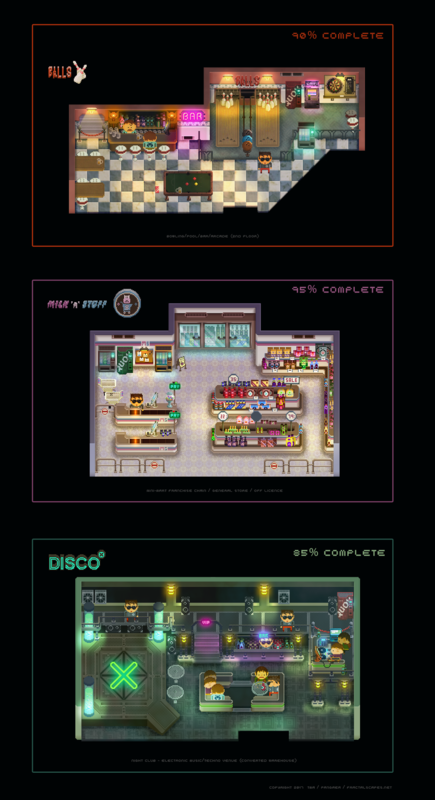 Since the world will be so rich with unique items in stores/markets/malls..etc there could be an interesting shoplifting mini game/mechanic. As an example for a certain quest the player has to find a specific item from a specific store, steal it without being caught, and return the item to whoever set the quest. This mechanic could also be implemented into the survival mechanic. Stores, depending on scale or how well off they are, will have camera security systems / guards which will have cones of sight, Player has to avoid the sigh cones or not look suspicious in the first place. 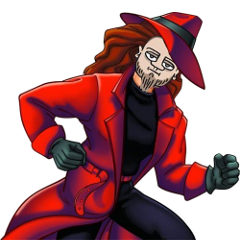 Additional mechanics could also feature a system whereby if items have security tags the player has to enter a hacking mini game to unlock the tag from the item before they are detected by the movement of security cameras, guards or staff. At the start of the game the player will be able to create their own character using a simple system of head/torso+arms/legs+feet. And while progressing through the game be able to buy new tops (torso+arms), bottoms (legs+feet) and Head ware. The Character designs as featured in the concept images I made a while ago and perhaps might not suite the game (might be a bit too childish looking) are fine for scale reference, but ideally to have someone make better characters to suit the game would be really great. If I can not get anyone to work with new characters then I will use the ones I am using now, but obviously there will be 100`s of different looking ones not just he 8 or so i made for the concepts. Assuming there is a money system to the game, the player can buy and sell items from different traders and shops, but keeping it very simple. 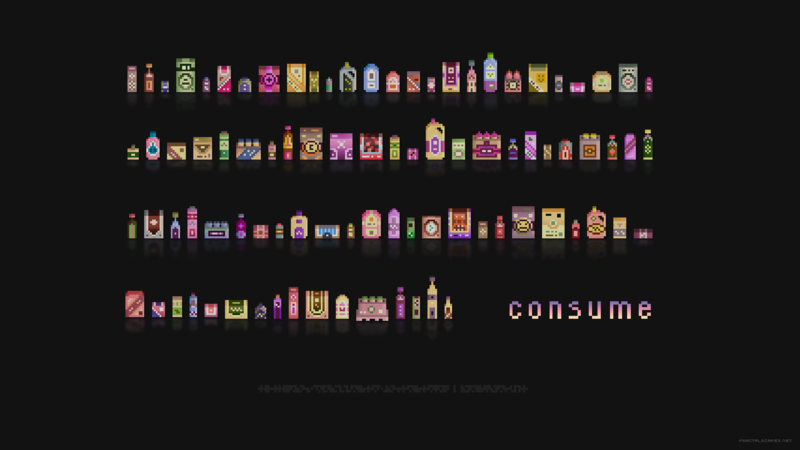 Every Unique Item such as posters, shop produce, drinks, NPC's ..etc will have their own description and be integrated into the games achievement system. Each time a player finds a new item such as a new poster/advert then have not seen before, and assuming they click on its description, it will then be visible in the players wikipad. On collecting certain amounts or finding special items achievements will be awarded. This wikipad system (tablet software) will be similar to style of the Hitch Hikers Guide information guide. I mentioned previously that the game might have a day/night cycle which would be nice to integrate into mechanics such as certain shops being only open at certain times of day..etc however if there is no day/night cycle the game will be set in a dark/murky/smoggy twilight(ish)/night(ish) sort of atmosphere. An idea is to release this game in episodes. This means I can prioritize with building the external city with a few internals for various buildings that fit into a first episode story. So when the outside city is complete there may be a 1st episode release, giving the player a specific story/side quests to take advantage of the completed internals for buildings. The player can still free roam the city but buildings (internals) will be unlocked in subsequent episodes as they are developed. This might entice players to keep updating their game to see new internals, stories, quests, characters, items.. etc, while the core game mechanics don't have to change that much. Doing it this way also means that if the game is not very successful one release of episode 1 or 2, then development can stop or prioritize on other areas, so much of the work on internals and other things wont have to be committed to. This method can also be used to strategize a crowd funding campaign centered around tiers of development stages with internals areas of the city. 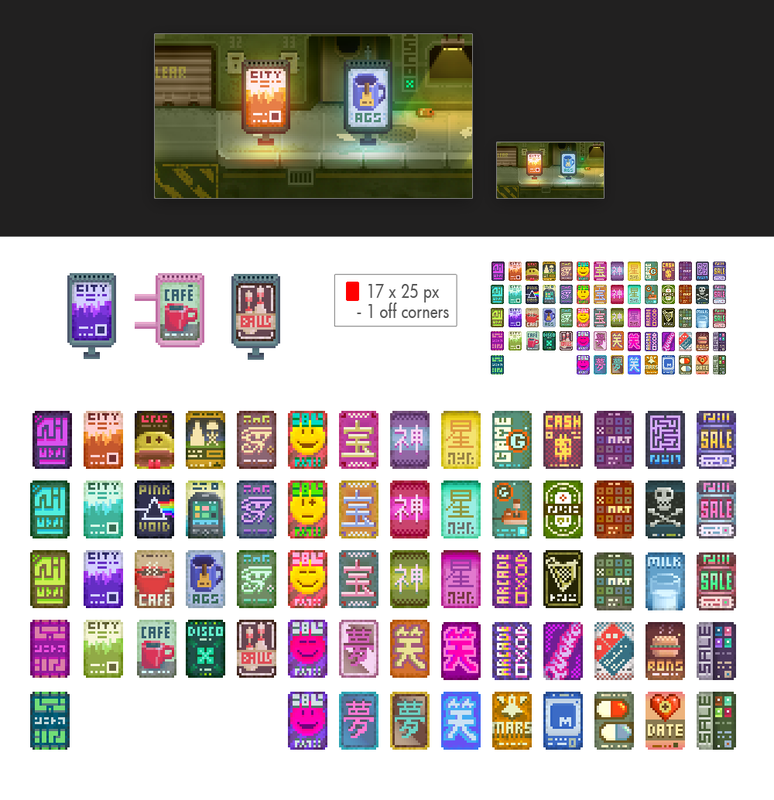 While on the subject of crowd funding I have specifically made certain types of items customizable (as with posted previous examples), so this can be used to integrate into the funding tier to offer backers their own customized content in the game. 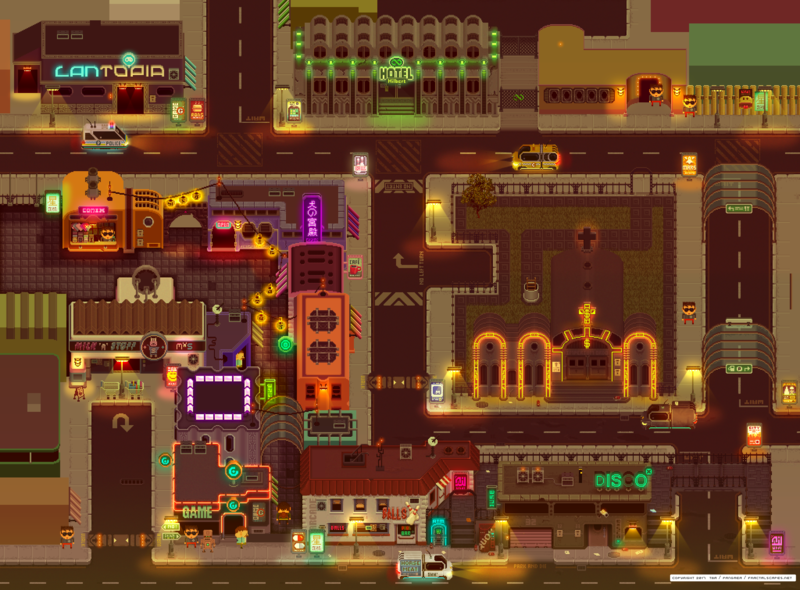 Although the game is striving to be a low res pixel art JRPG style GTA / Retro City Rampage, unlike those games this game will not feature the ability for the player to drive vehicles. There are a number of reasons for this choice, some technical, but the main reason is I feel in open world / free roam world games as soon as you get into something like a car the game world suddenly "feels" a lot smaller. There will be reasons (in the game scenario) why the player cannot drive cars. There will be a fast travel method as mentioned before in this post. Here are some of the areas I have been working on, It is important to note that many of the concepts shows are at various stages of completion, in particular the main external "city" section image which is at a 40 to 50% stage of completion. Building/ground shadows (such as the alley way/market area) have not been applied to other areas, many of the external buildings are only partially detailed a few are still primitive colored boxes,, plus many other detailing to be done. Very bad/crude test of what the lasers "might" look like flashing, but ideally they will be moving/sweeping , changing color perhaps shape too. And the Progress on the city itself, note this is only a small section of the city that can be used to prototype, and is only at a 40% to 50% state of completion. Also bare in mind that the city ideally would have many NPC's walking about, traffic featuring many types of hover vehicles, animated flickering neon lights, other animated features, and perhaps overlay effects such as mist/fog slowly rolling by...etc. I mainly produced this image to test the mood/lighting general atmosphere I am trying to achieve but I thought to show my progress anyway so you folks can get a clearly idea of where I am going with this idea. If you can try use your imaginations and imagine a city of this sort of scale ( http://www.retrocityrampage.com/map/city.png ) but with the detailing and more intricate layout and stronger atmosphere of what I am doing. 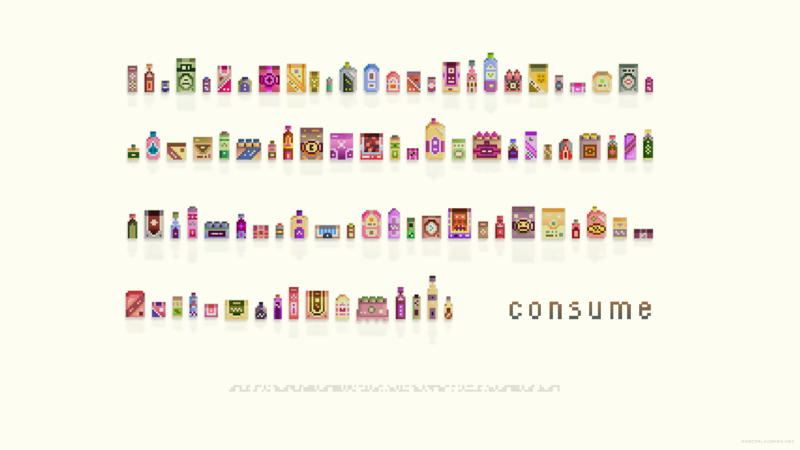 And finally just two HD "teaser" minimal/abstract style desktop wallpapers related to the project featuring only a few of the possible 100`s of consumer type items that can be found in the game if anyone likes, light and dark theme, as an example of promotional material. Just to remind people and to be clear, right now I can not offer anyone coming on board any sort of money. This project will entirely depend on sales and/or amount of possible crowd funding we can get prior to release. I am offering people the opportunity to get involved in something that I think if done right could result in good reward for everyone directly involved with its development. Right now, or at least until a basic prototype is made I would like to treat this project as a casual thing, but with serious and mature intent. After a prototype is produced we can possibly present it to the public as a concept, and if the feedback is strongly positive we can drive ahead with the project proper and form a more formal method of working together, contracts, payment agreements.. etc. What I am most certainly looking for is a coder/scripter.. in effect you will be taking the lead with the technical aspects of the game, but really its not just a coder person , its a project partner for an experience also. Asides from the obvious code help that will be need to make this game a tangible reality, I could use some help with forming some good stories/quests and perhaps puzzles. I could in theory cover those myself but I would really like to focus my time on creating the world, making it as intricate and interesting as I can, , general game design and art direction, game presentation and promotion , perhaps sound and music... and perhaps down the line someone to help with graphics to lighten my load if things get a bit too much for me in context to hitting some time frame for release. There are other aspects to this idea that I will not reveal until release or whoever is working directly on the project with me. Well I hope I got the gist of my idea across, I think because of the nature of this game it should be really fun to work on and varied, there is a lot of freedom here. If anyone has any serious interest in trying to see where we can bring this it would be wonderful, either reply to this thread or PM. EDIT: Would it be ok if I create a short thread in the critic thread, asides from finding help with the project I would love to get some more feedback from the general community if they think this idea is good or bad or worth continuing with. Would that be ok mods/admin? The look of this game is incredible!!! Keep pushing on with it and best of luck! Music and/or sound I want to help with, if there's the need at some point. Congrat's for the awesome artwork. I wonder what's inside that money church building. Juan, thank you for your offer, I will most certainty keep you in mind. 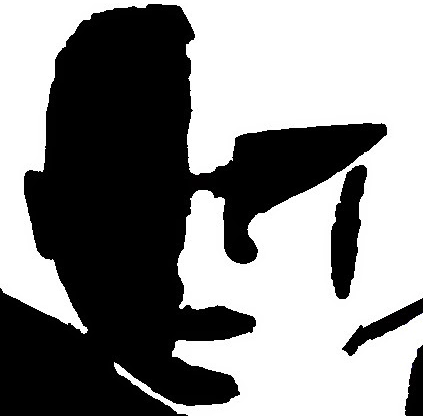 I do have a few peeps (some of my old dj/music producer buddies) lined up interested to make music, but this city will big enough and contain so many internals that I am sure I can find a location,scenario.. or whatever for your work. hehe... yes.. oh man, my mind is buzzing with the potential of interesting buildings/internals and characters to go with them, There really is no end to what you can do in a city. And yes there will be LOTS of variety in buildings, , and the city is likely to be broken up into districts like commercial, abandoned, red light, government, ..etc the sort of districts you might expect in a modern city today, so those areas of the city will have a different feel i hope. Also I forgot to update this post, as I "think" I have someone to help with the code to get the project started.. I am not 100% sure yet, but looks/sounds positive. If anyone else is still interested please PM or whatever anyway and the current situation might change, I don't know yet.